Once high-flying Android (s goog) manufacturer HTC reported weak fourth quarter results and forecast an even tougher first quarter as competition from Apple (s aapl) and Samsung squeezed the Taiwanese smartphone maker. HTC reported revenue of 101.42 billion Taiwan dollars or $3.48 billion with earnings of 10.94 billion Taiwanese dollars or $369 million, good for 13.06 Taiwan dollars per share (44 cents U.S.). In the first quarter, HTC said it was expecting revenue of between 65 billion and 70 billion Taiwanese dollars or $2.20-2.37 billion, which could amount to as much as a 36 percent drop from the previous quarter. Analysts had expected HTC to generate $89.64 billion or $3.04 billion in revenue this quarter. HTC had previously released unaudited results for the fourth quarter but the forecast raised new concerns for HTC as it looks to regain its momentum. HTC did not provide unit shipments for the fourth quarter — the first time it hasn’t done so — and declined to forecast unit sales for the first quarter. But it hopes to see improving sales as it applies more focus to its line-up. The company has been talking about putting out fewer phones and rallying around more “hero” devices. The company rode the wave behind Android and enjoyed a lot of growth along with the rest of the smartphone market. But as Samsung began cranking on Android phones, Apple exploded last quarter with an impressive showing on iPhone(s aapl) sales and low-end Chinese makers ZTE and Huawei came on strong, it has left HTC with less room to stand out. Now, the company faces an uphill battle as it looks to remain relevant as a top Android manufacturer without some of the vertical advantages enjoyed by Samsung. Om has been talking about this for a while and has laid out the challenge for HTC and other Android makers in a market that is increasingly tough to compete in with Samsung commanding the top end and Chinese manufacturers moving up from the bottom. 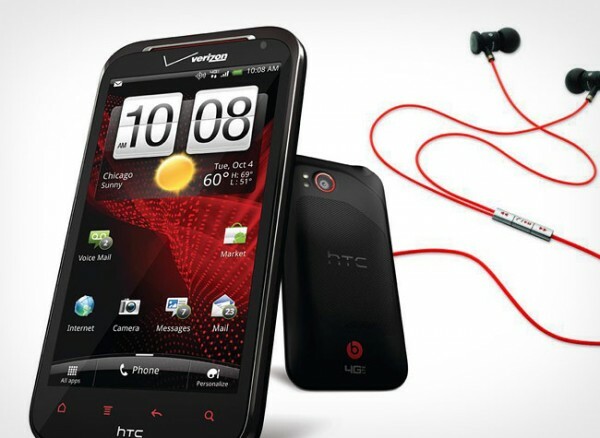 HTC will hope that the HTC Ville, a 4.3-inch inch Android 4.0 device, and other upcoming devices can help lead a turnaround. But it’s unclear what will provide the real spark. The HTC Rezound was one of the top Android devices this fall from HTC but it got overshadowed by the Galaxy Nexus from Samsung and the Motorola Razr (s mmi). Does HTC still have gas in the tank? It could still compete but with Samsung the lead dog on Android and Nokia (s nok) the likely standard-bearer on Windows Phone (s msft), this transition period could take a while. I’ll say it again, they need to clean up their software. They’ve been good about updating phones but their dual-core phones are no where near as smooth as Samsung’s. Too many stupid, useless animations bog everything down and make you using the phone less efficient. They need to make their software as light as possible and only plug in the holes that android missed. Sense is boring and ugly compared to ICS. They have nothing that makes me love their phones. At the very least I can appreciate the littlest details about my 4S and Lumia 800 but my Titan has nothing remarkable about it. Let’s see if HTC can pull it together. I’ve never owned an htc phone before now so i can’t speak on their other devices, however i do own an htc rezound now and i see it as the perfect smartphone. Despite it constantly running sense 3.5, a live wallpaper, AND adobe flash, its STILL not just fast but VERY fast in performing all its functions! Although the rezound is supposed to be one of the first to get android 4.0, i am so pleased with my phone that i can honestly say that i wouldn’t care if i never got the ics upgrade. Htc fell behind because of ONE reason, crappy marketing! Consider this: the htc rezound was the FIRST phone to have a 720p HD display but not only did they never advertise it, but they didn’t even put ‘HD’ in its name! The rezound is the ONLY phone on the market that has a higher pixel density than the iphone 4s! Its 342ppi crushes iphone’s 326ppi and does it with a 4.3″ screen! How could htc NOT advertise that it’s phone is the one that MASHED apple’s coveted retina display?! The rezound was also the FIRST phone to have a 1.5 ghz dual-core processor WITH an adreno 220 graphics processor! Did htc advertise that it’s phone had the most powerful processor? NO! Not only does the rezound’s front cam record HD video, but it’s rear cam records slow-motion video! And again, no they didn’t advertise that! Its plain-as-day why htc fell behind samsung, motorola, and apple: they have the weakest marketing in the industry! trob6969, I can’t agree with you more. As a marketer I see Samsung and Apple doing great things in terms of advertising and spotlighting key features and designs. HTC has made great phones with a great UI supported by great features. They have also made huge strides in the industry to bring the latest technology to the consumer. However, I see their commercials every once in a while and they aren’t great. If anything, the latest commercials just leave me baffled over if it is a HTC or Beats commercial having no idea what features their latest phones contain. You mean spending $300-million on Beats Audio didn’t accelerate sales?!? I can see why HTC would be struggling to keep up with Apple and Samsung; Samsung has been rising to the top of the best Android phones with their Galaxy line and they are going to be tough to top with all of their new features and physical designs.